you can update mobile no in aadhar if with existing number works (Online). Add new mobile number if already not linked any mobile number (Online). if existing mobile number not working then change mobile no (offline). 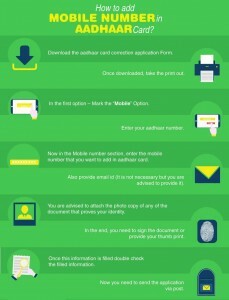 follow below steps to update mobile number in aadhar card through online. Step 1: candidates those who like to update mobile they want to open official website UIDAI. Step 2: candidates want to click the option as aadhar service update portal SSUP. : in that page candidates want to enter their unique and valid 12 digit aadhar card number in the specific field correctly. then click the seeding option. next page will be open candidates want to enter their New mobile number. These are the proper steps help to update your mobile number effectively. If you follow the steps, then you feel more convenient. However, the process of updating mobile number through online can save your time and money. Therefore, make use of the steps to update your mobile number. Uidai residents can Download Mobile number update request form with reference number also called as URRN Number. Track your Aadhar card update status at uidai resident portal. Change the mobile number without OTP, when the mobile number lost. The only offline process we can change the mobile number, for this just visit the uidai resident portal home, and read the instructions download aadhaar correction. most of the enrolment centers provide this. fill the required changes in the aadhar correction form and send the form to Bangalore address uidai. Remember No documents needed to update the mobile number. but faster process resident has to contact the e aadhar toll-free call center and furnish the URRN reference number. just visit the nearest aadhaar enrollment center and opt for correction. they will do it for you. this way aadhaar update process quickly. then we can also track adhar card status. Note: If you forgot Aadhaar Number and Enrollment Id then it’s hard to update the mobile number. be sure aadhaar portal may be improved aadhaar search by name and date of birth but it maybe causes the security vulnerability. My situation: My sister got divorced. but aadhar card details like name, Mobile number and Address are updated on her husband. so we went to Nearest aadhar center update new number & address with valid proofs. but took 200 INR for aadhaar enrollment. Aadhaar enrollment is Free for residents. Government paying Agencies towards 100-200 per person. when I am working as a supervisor in 2011 the payment for enrollment was 20 Rupees to the Agencies. how to change mobile online without otp? Ans: You cannot change the Mobile Number online without OTP for security. but you can change with Biometric authentication with aadhaar service provider. you may also check this article aadhar card correction online without the mobile number. How aadhar linking with Mobile no mandatory? Nowadays we not only requires Aadhar Number, Actually Service provides Like Epfo, ITR, Mobile companies, Requires E KYC with Aadhaar. This will be done if your Mobile already working to Authorize OTP. Most of the enrolments rejected due to quality Biometric captures. If the Aadhar data rejected but you have aadhar card previously. Then you have to re-enroll. Changing Mobile Number Done in Online if your previous one working. Updating New Mobile Number without Old done at Aadhar center. if you are unable to update mobile no in aadhar online, then go nearest aadhar seva along with an ID proof like pan or passport, driving license etc. 3 how to change mobile online without otp? 3.1 How aadhar linking with Mobile no mandatory? you can do it on uidai resident portal. is it rejected or lost?